Now that spring is here we are very excited to start up our weekly walks for wellbeing. This year’s weekly walks will start at 10.30 AM each Wednesday from the 17th of April, except for Wednesday the 1st of May or any bank holidays. 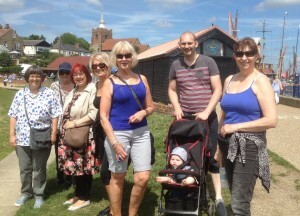 For more information, please contact Darya on 01621 851891, email: darya@maldoncvs.org.uk or show up to one of our walks.